New ‘I <3 Efteling Merchandise? 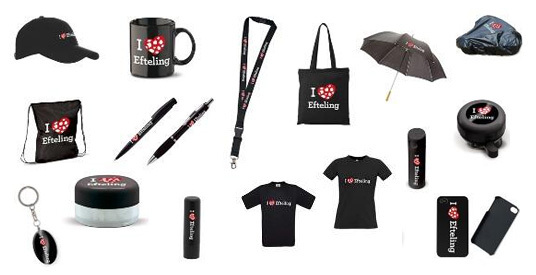 Efteling are apparently considering selling ‘I ❤ Efteling’ merchandise. Think of the I (heart) New York stuff you will see in many a souvenir shop in the city, but Efteling’s version has a heart which is patterned like a Toadstool. Of course. We love most Efteling merchandise here at Efteling UK, (excluding the 60th year merchandise which was questionable in our opinion) and the image below show what it might look like. It isn’t too bad, but we’ve seen better! Nevertheless, if it has Efteling written on it, no doubt many of us Efteling-lovers will buy it. What do you think? Tacky? Or simple and straight to the point?